"The greatest cultural extravaganza that one could imagine." This is what singer, David Bowie once said of 1970s Berlin. Many would argue that this is still very much true. Germany’s capital is just such an exciting city; new and modern and yet still very much in touch with its tumultuous past. Being one of the most creative and cultural cities in Europe, Berlin attracts party-goers with its seemingly never-ending night life, history buffs who’ll tell you that walking through Berlin is like paging through a chapter in the most fascinating of history books and families on holiday for the abundance of green spaces, markets and outdoor playgrounds. What is especially attractive about Berlin are the people; they are laid-back and friendly and add a vibe to the city’s streets. The energy is contagious. 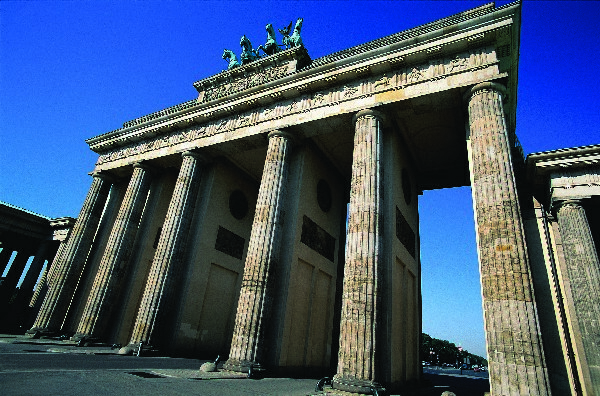 The Brandenburg Gate stands at the centre of modern-day life. The only remaining city gate of Berlin used to show the separation of the city between East and West but has come to represent German unity. Many walking tours of the city will start here. Even if you feel like you learnt enough German history at school, take a walking tour. Your guide may have incredibly interesting titbits of information that you didn't learn in your textbook. If you are pushed for time (or not), you can rent a bicycle to explore the city. Whatever you decide, try to make time for the Brandenburg Gate, Checkpoint Charlie (the name given by Western Allies to the best-known Berlin Wall crossing point), East Side Gallery (an international memorial for freedom), the impressive Holocaust Memorial and the Reichstag Building (which is free and an architectural delight). The DDR Museum, an interactive, hands-on experience of the history, is also worth a visit. And of course, never to be forgotten is the Berlin Wall. Although much of the original wall has been destructed (for obvious reasons), there are portions which remain and have been protected. It seems there is hardly a bad time to visit the city. In warmer weather, locals and tourists take to the streets, parks and lakes and get involved in the many events happening all over the city. In the winter time, the Christmas markets are a sight to behold. But it is the ‘Ampelmännchen’ symbol, the little man shown on pedestrian signals, which is the favourite of many visitors to the city and ‘Berliners’ themselves. One of the few surviving features of communist East Germany, the Ampelmännchen has become so popular that there are shops dedicated to selling Apfel merchandise in both red and green; stickers, coffee mugs, jewellery and T-shirts. These days, there are many variations of the Ampelmännchen throughout Germany and there are also some additions; you can see Ampelmännchen on a bicycle, Ampelmännchen with an umbrella and even Amplefrau (a woman). Believe it or not, Berlin is a relatively affordable city to visit in Europe. That is obviously depending on what you want to do. With something for absolutely everyone, from a thriving art and music scene to fashion and shopping galore, history that stares at you from every corner to surprisingly good cuisine (and beer), Berlin could keep even the most seasoned traveller entertained and intrigued. A true cultural extravaganza!